Edited by Ruslan Pukhov and Christopher Marsh, Elite Warriors: Special Operations Forces From Around the World is an excellent, methodically researched study of various special mission units from around the globe. While information about well-known American and British special operations forces such as the U.S. Army’s elite Delta Force, the U.S. Navy’s SEAL Team Six or the UK’s Special Air Service (SAS) units is fairly commonplace, researchers at Russia’s Centre for Analysis of Strategies and Technologies (CAST) have assembled detailed profiles of foreign units from Russia, Ukraine China and others that cannot be found anywhere else. The book fulfills its mission to fill the “gap by covering the history and current operating environment of the special operations forces of fourteen countries of the world, including many that have tended to get less attention in the English language media, such as Algeria, Italy, and Poland, for example,” as Marsh writes. Indeed, some of the best and most detailed chapters in the book are on foreign special operations forces familiar only to dedicated regional specialists. 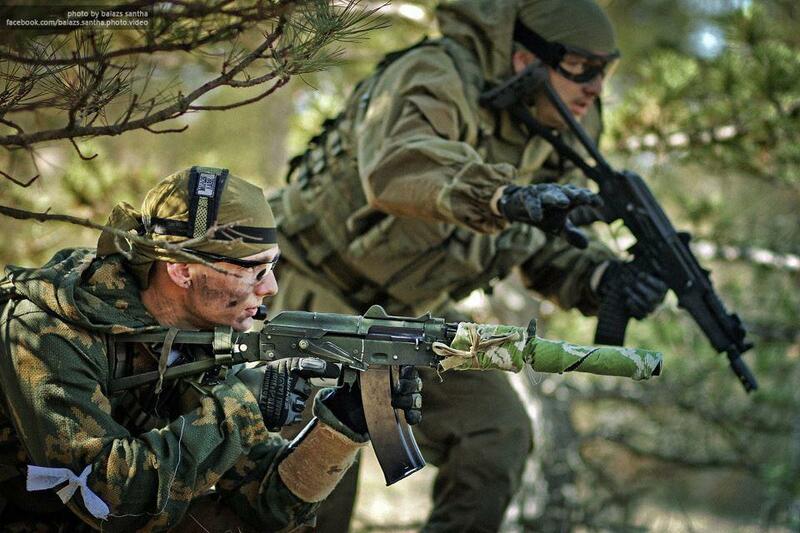 Among the best in Elite Warriors are Alexey Ramm and Alexey Nikolsky’s contributions. In their respective chapters, the two researchers detail Moscow’s extensive special operations forces and the Kremlin’s ongoing efforts to revamp those units. Ramm details the post-Soviet reforms of Russia’s elite Spetsnaz troops and their evolving roles and missions. He also provides details about the various units’ training and equipment and their command and control. Nikolsky’s chapters offer a more historiography approach to the subject—detailing the evolution of Soviet and Russian special operations forces and the politics behind those decisions. “Apart from personal rivalries, interagency squabbling and doctrinal ambiguities, the creation of the SSO was also held back by the lack of funds for any meaningful military reforms,” Nikolsky wrote. Nikolsky takes the reader from the Soviet-era focus on nuclear war, through Afghanistan and the Russian experiences in the Caucuses and Ukraine through to today’s conflict in Syria. Western readers are sure to find the story of the creation of Russia’s Special Operations Command (SSO)—patterned on the American Joint Special Operations Command—to be fascinating, particularly as the unit continues to evolve. Overall, Elite Warriors: Special Operations Forces From Around the World is an exceptionally well-researched booked and forms a valuable resource for scholars studying special operations forces—particularly those that are not of American or British origin. Each one of the chapters—which are essentially stand-alone research papers—offer detailed analyses of various nations’ forces—often with details not found anywhere else. Scholars in Washington will find the sections on Russia, Ukraine, Iran and China to be particularly useful.